Looking for some family-fun? The holidays are fast-approaching and it is the perfect time to visit the Sesame Place® in Pennsylvania, the nation’s only theme park based entirely on Sesame Street®. The little kids are quickly becoming big ones, so don’t miss out on this amazing experience. Bring the entire family to whirl on rides, splash down slides and hug everyone’s favorite furry friends. 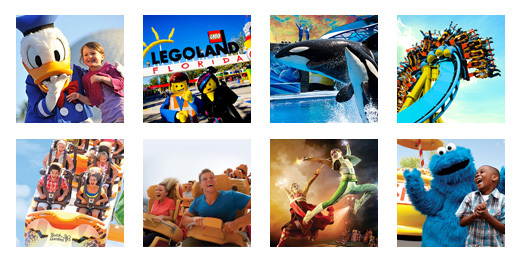 To make your trip even better, TicketsatWork.com has an Exclusive Corporate Offer: Save up to 25% and receive a FREE 2nd visit + FREE Meal Certificate. Don’t miss Cookie’s Monster Land, or the special opportunity to meet, greet and eat with Elmo & Friends! Get ready to sing, dance and clap along at the park’s daily character shows, like the brand new show, The Magic of Art™ and the spectacular Neighborhood Street Party Parades. And let’s not forget the upcoming A Very Furry Christmas, which takes place on select dates November 19th to January 1st. A Very Furry Christmas at Sesame Place is a festive, family-friendly celebration with everyone’s favorite Sesame Street friends. The park is transformed into a one-of-a-kind Christmas wonderland with millions of twinkling lights, festive decorations and whirling rides. Guests will enjoy special Christmas shows, savory Christmas menus, super holiday shopping and a visit with Santa in his Furry Workshop. With your free meal certificate you can enjoy good eats for everyone at a variety of park locations, including Elmo’s Eatery, Cookie’s Café, The Count’s Cool Creations Coffee & Cone Corner and many more. If the kiddos in your family are fans of the award-winning television show Sesame Street TV show, then for sure they will LOVE a visit to Sesame Place, the nation’s only theme park based entirely on Sesame Street.